Customer Service can make you money. It’s been a long time since I’ve done a telecast but when Jim Armstrong called me I couldn’t refuse. Jim is a columnist for Floor Covering News and specializes in turn-key marketing strategies for flooring dealers. Customer service used to be kind of boring; now it’s connected to sales and marketing! It can actually improve your bottom line. By the way, the telecast is free. Do you realize that customer service can make you money? The old customer service department was like the principal’s office. You went there when things were bad! Now customer service is more interactive and can actually make customers love you you–if you do it right. Customer service is also linked to social media. If you don’t handle your online problems you might become a star on Twitter. For more about the event and the times, connect to this link,http://jimarmstrongevent.com/lisbeth . The date is March 10, 2014. 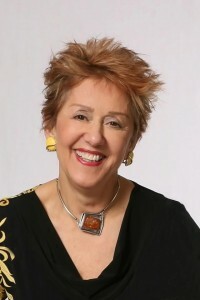 Lisbeth Calandrino has been coaching executives and designing sales and customer service training programs for over 20 years. She can be reached at Lcalandrino@nycap.rr.com.